Digital information is growing exponentially ­– on the hour, by the minute – heck, by the nanosecond. And, to add to the growing terabytes, new brands are entering the marketplace every day, fighting for your customers. If you want to succeed in today’s market, you need to know more than just where you’re going; it’s critical to craft the best route to get there. Enter the JRT agency® Business Intelligence (BI) Team. Let us help define your journey. Business intelligence at the JRT agency® goes beyond providing traditional data visualization and analytics reporting. Our approach is about discovering the biggest insights that enable you to make informed and strategic routing decisions, allowing for adaptation to changing conditions along the way. In order to help get you there, it requires a finely tuned, high-powered, collaborative effort between our Business Intelligence, Strategy, Creative and Technology teams. This well-oiled and finely machined protocol is embedded in HUMAN, our agency development process, relying on industry trends, emerging technologies, behavioral patterns, available data sets and psychosocial studies, such as the evolving arts of persuasion, to deliver key insights that are critical to helping you arrive at your desired destination. You could say our BI team serves as the agency’s, and our clients’, navigation system. You see, most client web-based data analytics provide snapshots of where they are, or where they’ve been – GPS tracking in a sense. However, what if clients could combine GPS with an up-to-date atlas, real-time traffic, weather and construction alerts to start course-correcting, re-routing around problems for their brand and their business? The result: Much like an improved commute, time and other resources are saved, frustrations are minimized, and getting to business success is managed much more efficiently. 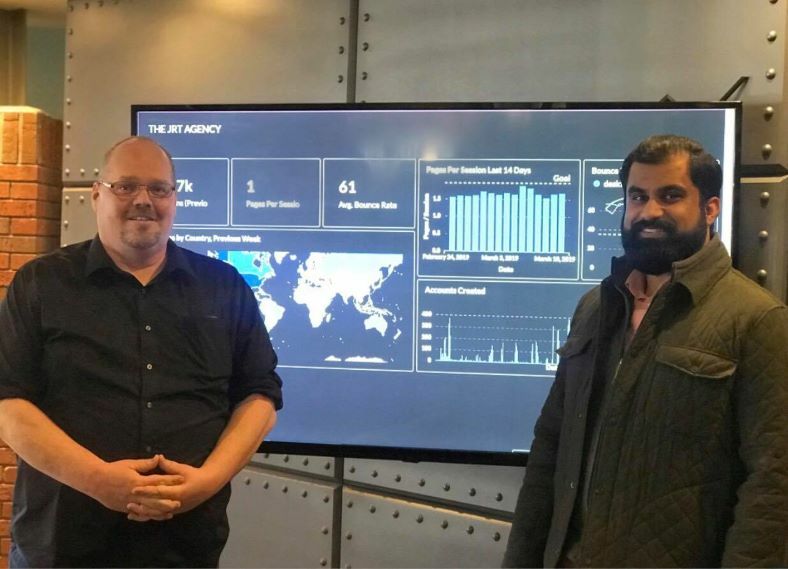 Your digital cartographers for your brand journey are Tom Ussery, director of Business Intelligence and 24-year-long digital marketing veteran, and Zaeem Zafar, business intelligence specialist. With help from you, our clients – along with our account teams and our director of strategy, Kristin Albani – Tom and Zaeem work within HUMAN (Holistic, Understand, Make, Analyze and Next) to establish a journey hypothesis, e.g., the best route, to which we add testing, gain new insights and, much like a commuting route, create course corrections along the way. Our clients are impressed by the results. We invite you to become one. If you’re ready for the journey, reach us here.